Join REALTORS® with Heart for a fun night at the Redmoor!!! What: All REALTORS® are invited to join together for dancing, adult beverages, fun and fundraising for the REALTORS® with Heart Committee. 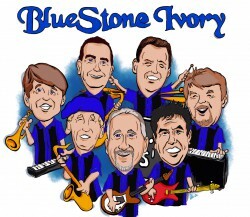 Come see the band, BlueStone Ivory and rock out to some great classic rock! We would love to have as many REALTORS® at this event as possible supporting a great cause! Check out BlueStone Ivory’s website at: www.bluestoneivory.com. REALTORS® with Heart will be selling split the pot tickets at the event. The proceeds will be used to purchase a new AED that will be placed in Cincinnati! Come join us!